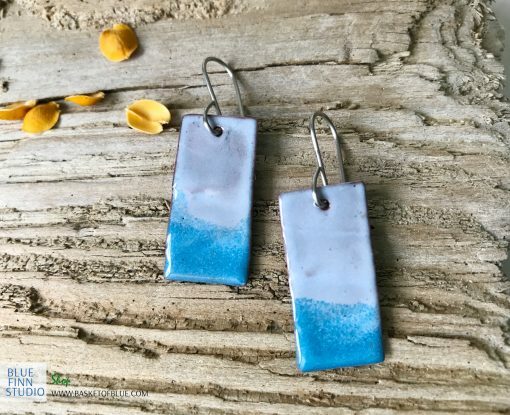 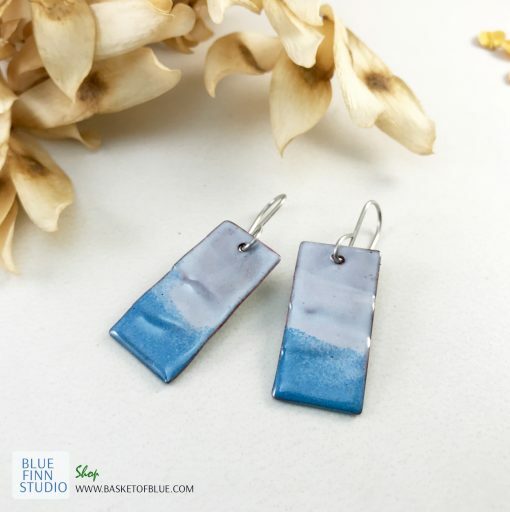 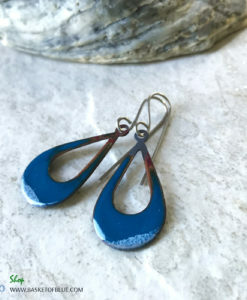 Blue enamel earrings with hammered wave like shaping that give these earrings a nice ocean wave like character. 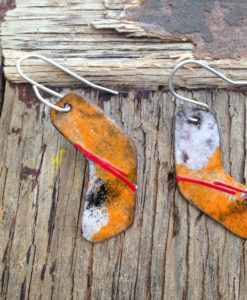 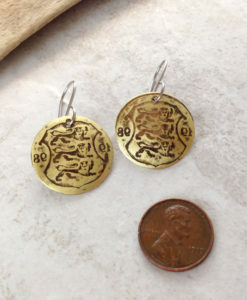 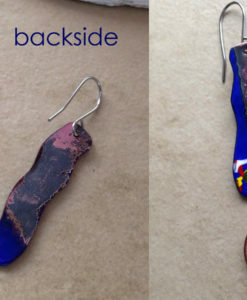 Handcrafted from copper sheet (cut, shaped, hammered, sanded) then enameled with a torch. 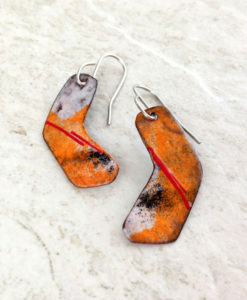 Every piece is individually handcrafted. 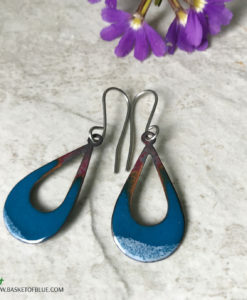 This is a great simple shape and just the right size. 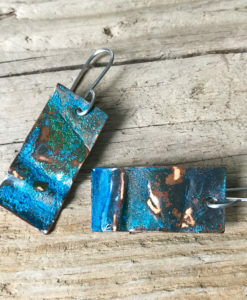 Copper shapes are 1 1/8 inches. 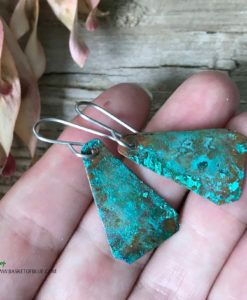 Cut from pure copper and formed with hand tools. 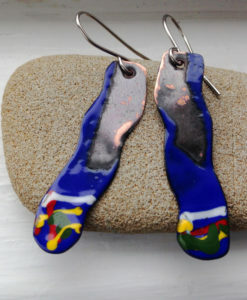 Enameled with a torch with vitreous glass enamel. 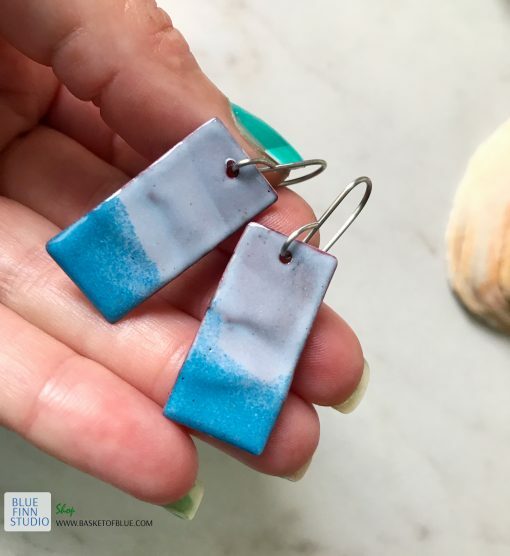 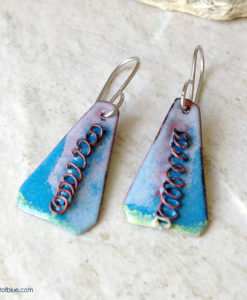 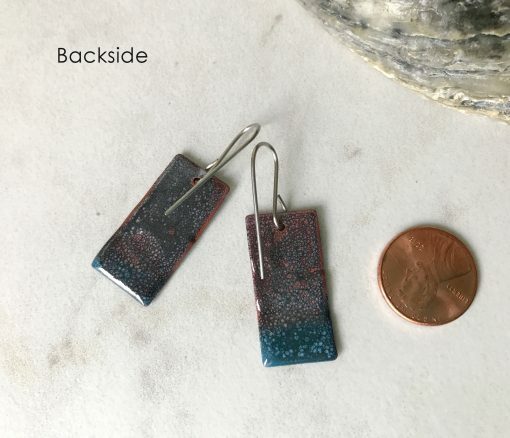 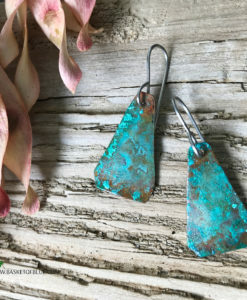 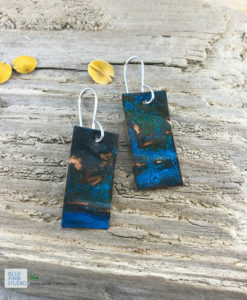 These Aqua Blue Enameled copper Geometric Wave earrings have a slightly rustic look, each one is unique. 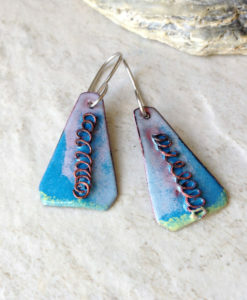 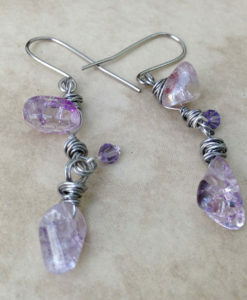 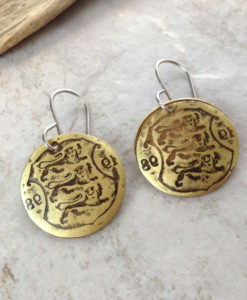 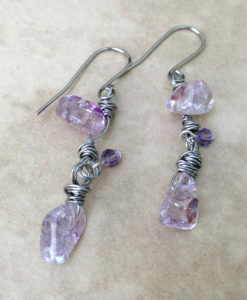 Hammered wave like shaping give these earrings a nice ocean like character.